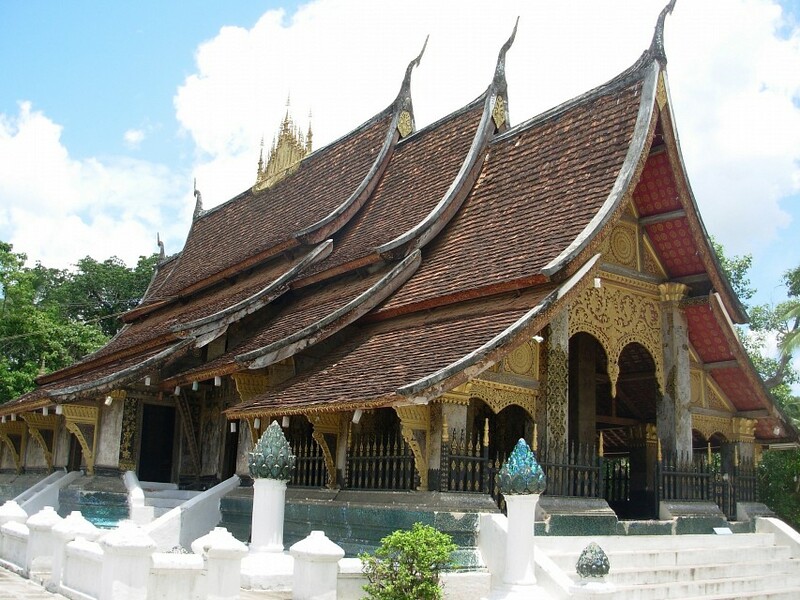 The main building of Wat Xieng Thong	Photo © shankar s.
If travelling through Laos from south to north, you may understandably be wat-ted out by the time you reach Luang Prabang, yet skipping a visit to what is often rated as the single, most outstanding temple in the whole country would be a real travesty. Conveniently located right in the center of town and splendidly colorful beyond words, visiting here in the late afternoon may just reignite your sightseeing curiosity. Admire the religious relics and intricately carved statues and enjoy a contemplative hour in its wonderfully peaceful gardens. 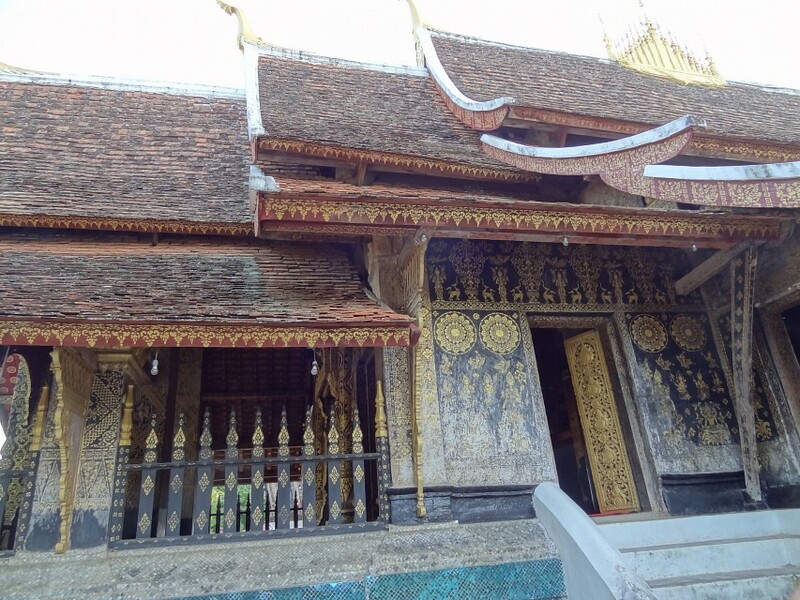 The most impressive characteristic of this particular temple, is that it was neither overly-destroyed during the numerous sackings of the city, nor was it over-zealously restored in recent decades. Although the very first photograph of the temple dates back to the 1950s, no major work was believed to have been done up to then, so experts agree that how it was photographed back then was how it stood for more than 400 years. 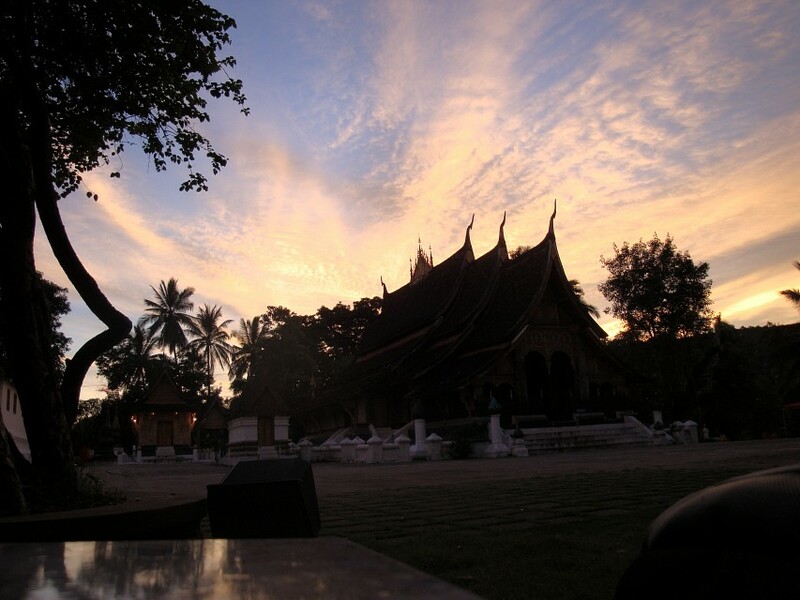 The temple stands wonderfully close to its original form, a rare find in Laos. There are some visitors to Wat Xieng Thong who may fail to appreciate its beauty, although this is mostly due to a lack of understanding of the historical, cultural and religious importance of the place. 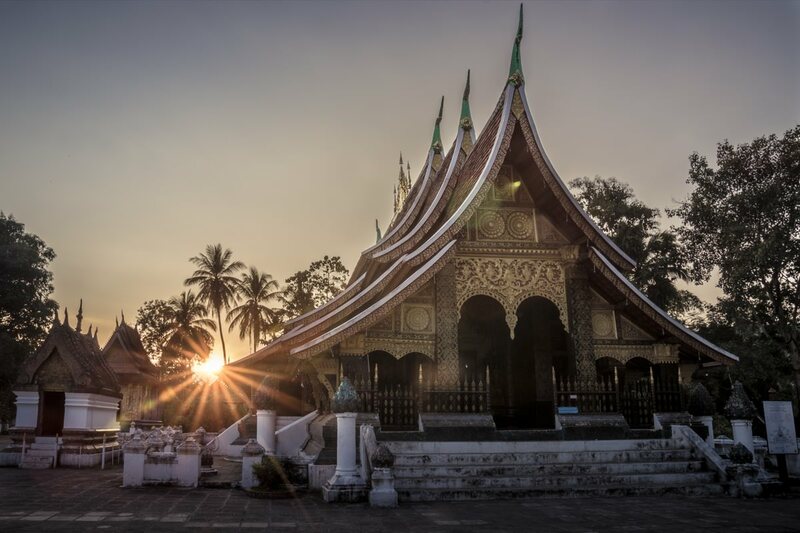 The temple dates back to the mid-16th century and is considered the epitome example of Laotian culture and religious architecture. 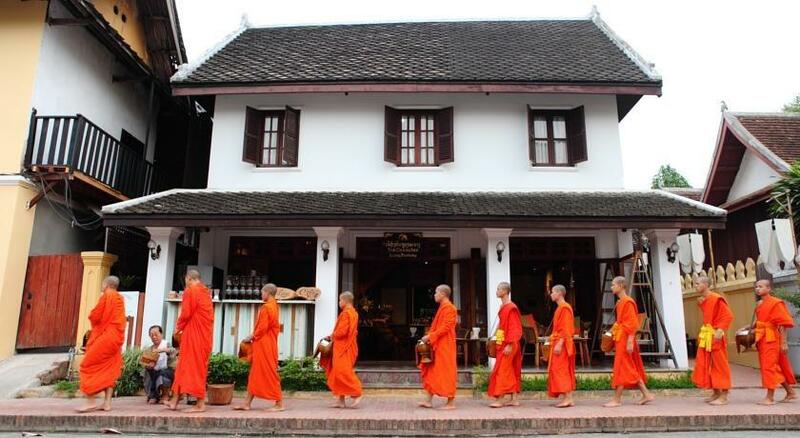 Situated nearest to the confluence of Luang Prabang’s two rivers, it is the symbolic entrance to the city and, although beautiful wats abound here, it is still nevertheless the most dazzling of all. 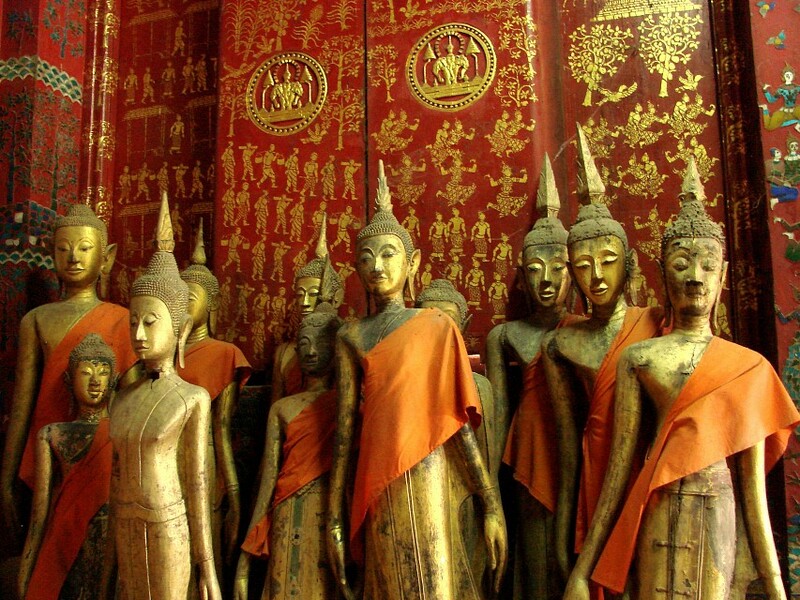 Known as the Royal Temple by locals, this is where kings were crowned and ceremonies held, and where every carving, painting and statue stands to specific significance. 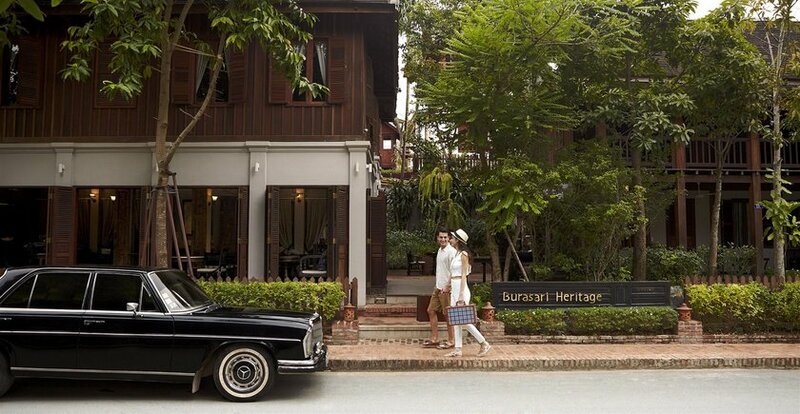 Much subtle restoration has taken place over the last two decades, with the most worthy undertaken in the 1960s. 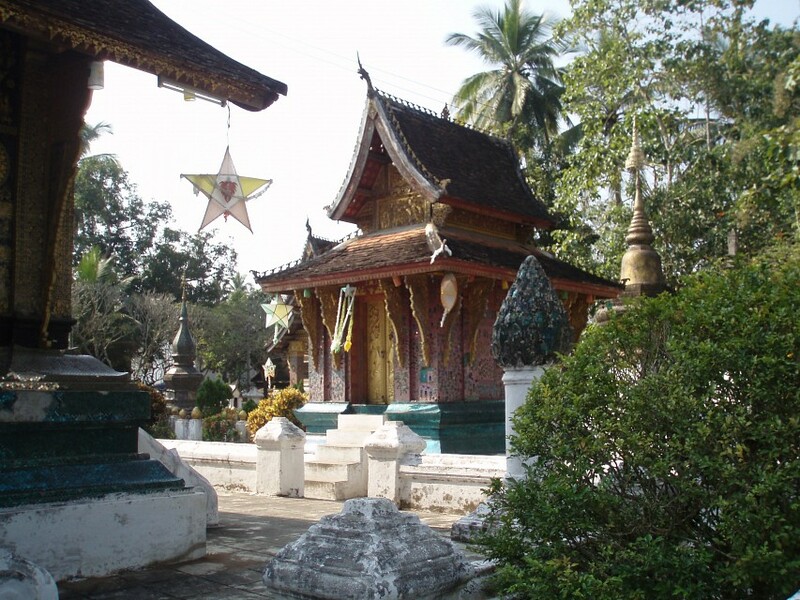 Although it started as a rather unassuming temple, it has been extended over the years and various other structures built around it. 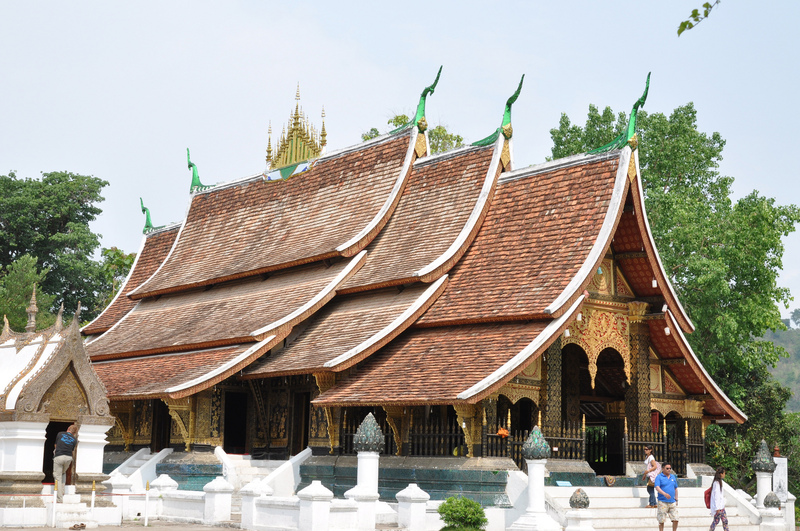 Affected and neglected over a period of years due to Laos’ ensuing wars, Wat Xieng Thong has been now carefully restored to its original glory. 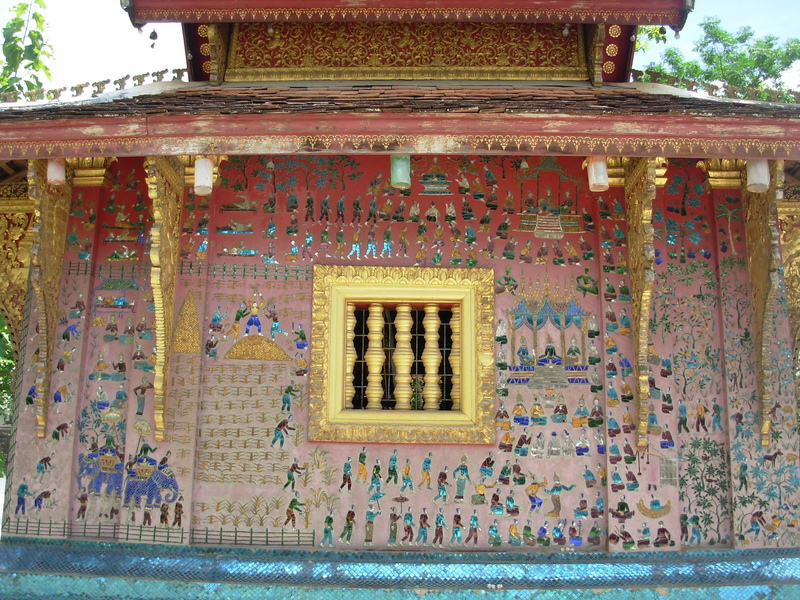 Standing testament to the Laotian preference for gold-leaf gilding and lacquering, the temple is a sparkling sight at any time of day. 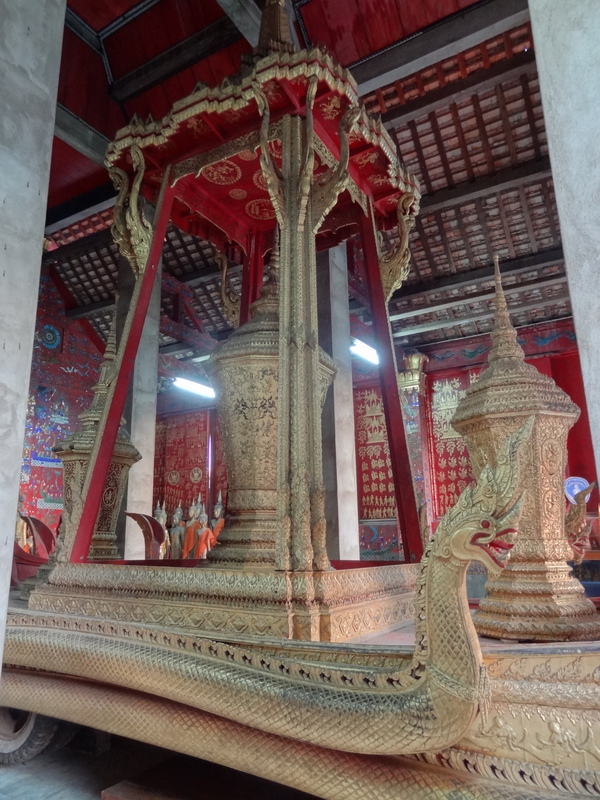 The flowing, red-tiled, double-tiered roof is meant to be shielding and evokes images of a large bird’s wings protecting its brood, or so the locals believe. 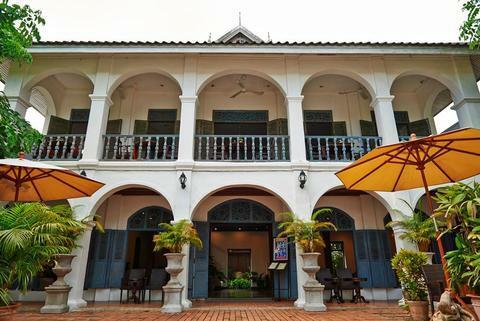 The intricately carved wooden doors, glowing with golden, black and red detailing, depict scenes from the life of Buddha and, together with the roof, make for a simply breathtaking first impression. 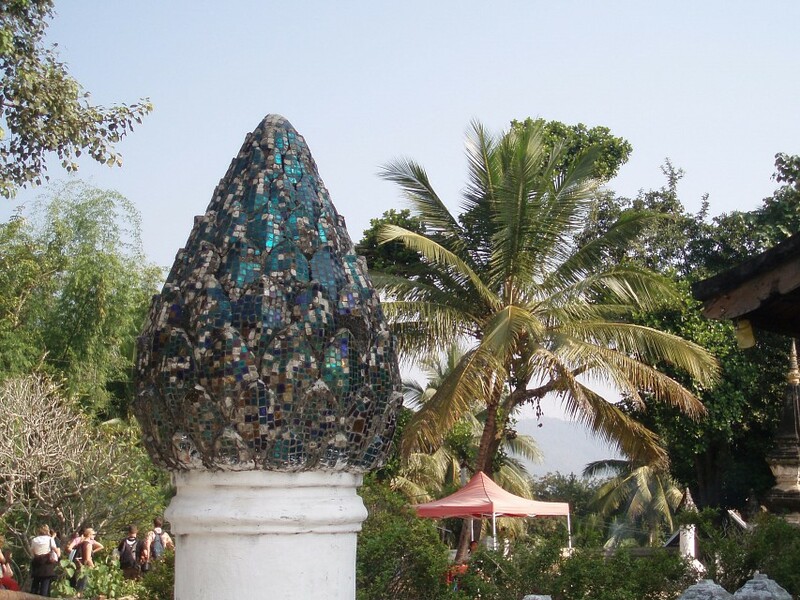 On the rear wall you’ll find an arresting, glass-carved tree of life, meant to portray the life of the three hermits which legend say built the very first temple on this site. The mosaic, set against a dark red background, was made in the 1960 by the country’s foremost masters and is thought to be a prime example of fine, local craftsmanship. Wooden, gilded and glass mosaics seem to decorate every square inch of the entire temple, with gold, black and red being the predominant colors. For many people, the most fascinating scenes depicted are those of punishment and hell, something which many non-Buddhists don’t realize exists. You’ll see a hapless victim being cooked in a giant cauldron, a liar being hung by his tongue and what appears to be an adulterous couple being chased by a pack of ferocious dogs. Notice the balustrade of the main temple, shaped as a snaking serpent. 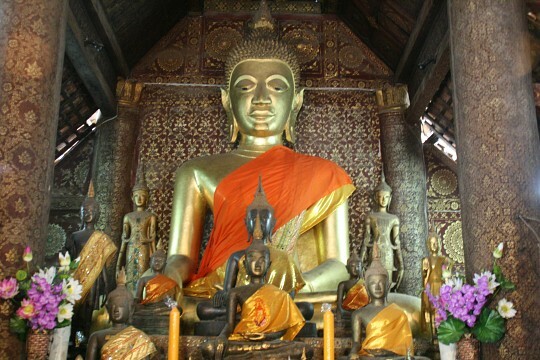 The adjacent drum tower, funeral temple, library and various other halls and stupas were each added years later, and are now brimming with several different Buddha statues, including the rare reclining black Buddha which was made during King Setthathirat ’s rule. The interior or the wat is as opulently decorated as the exterior, and houses a seated Buddha surrounded by offerings, statues and candles. The abundance of colors is absolutely stunning. 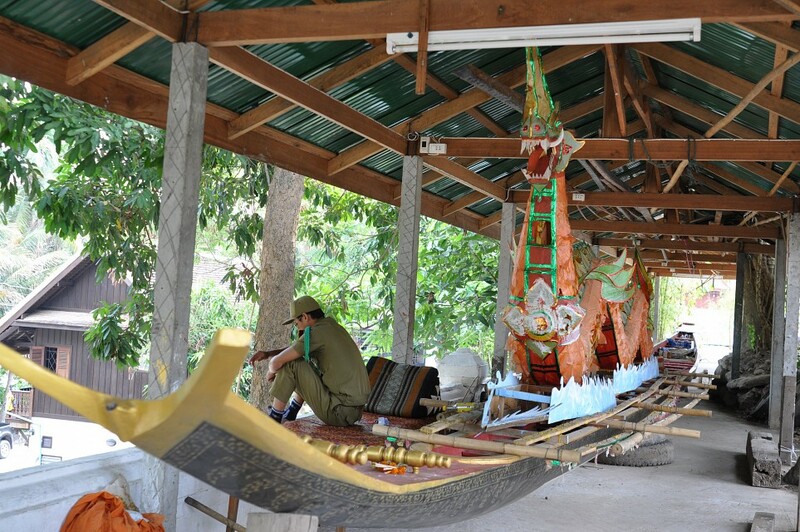 The most incredible sight outside the temple is that of the royal carriage, which to the laymen looks very much like a boat-shaped float. The large case is where the body of the deceased royals were displayed, and surrounding urns are where their ashes are kept. The ubiquitously present menacing dragon is meant to protect the ashes of the dearly departed. 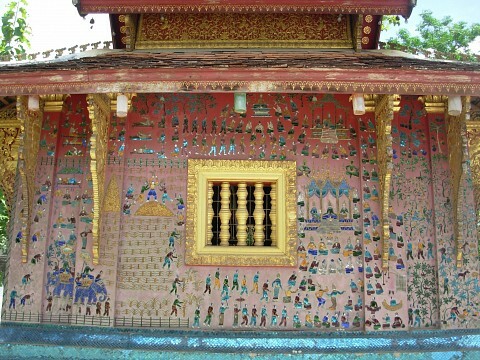 The entire carriage, which is 39 feet tall and amazingly decorated, was once paraded through the streets of Luang Prabang. 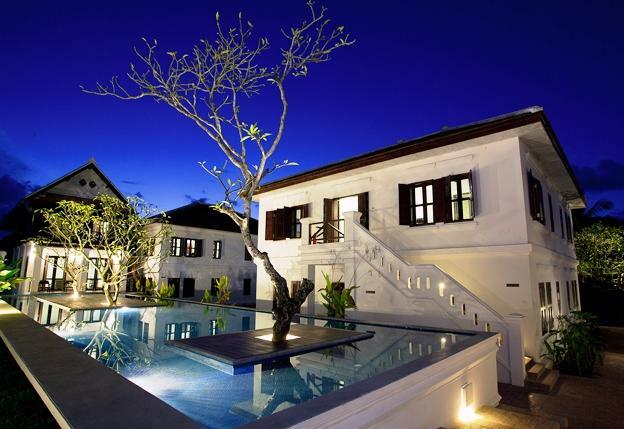 Next to the eastern end, you’ll find the modest living quarters of the few monks who reside here permanently. 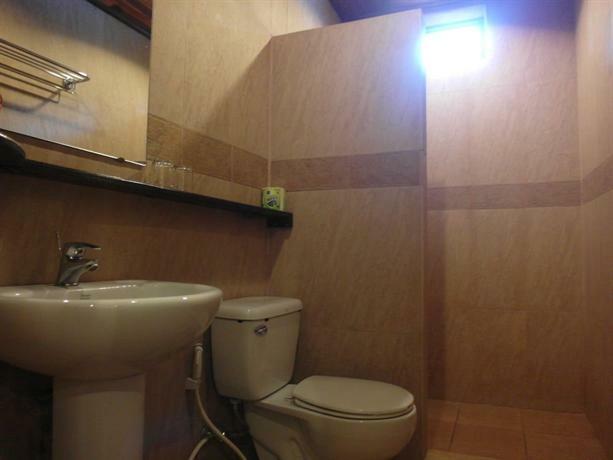 The temple is open to the public from 8 a0 feet to 5 p0 feet and a modest fee of ₭20,000 ($2.40) will be requested. 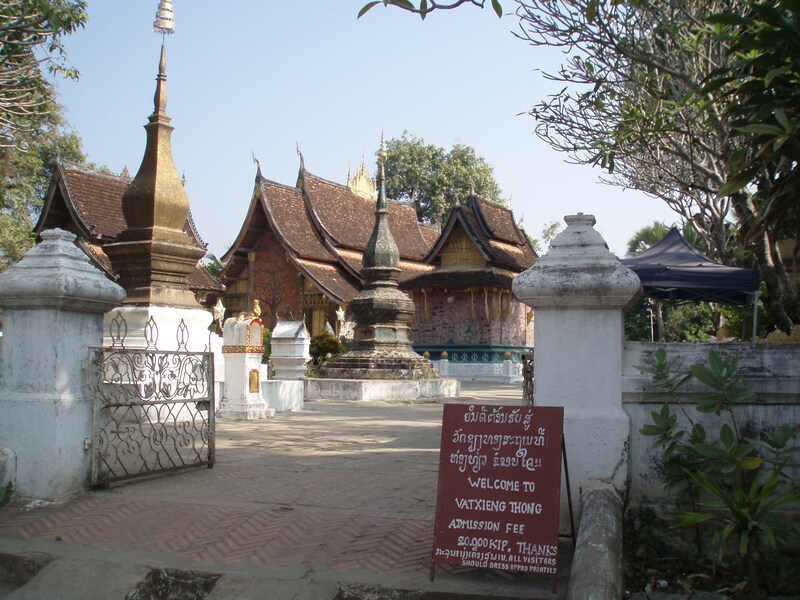 Wat Xieng Thong is found on the Mekong riverfront and accessible from Khem Khong Road (on the northern side) andSakkaline Road on the southern side. 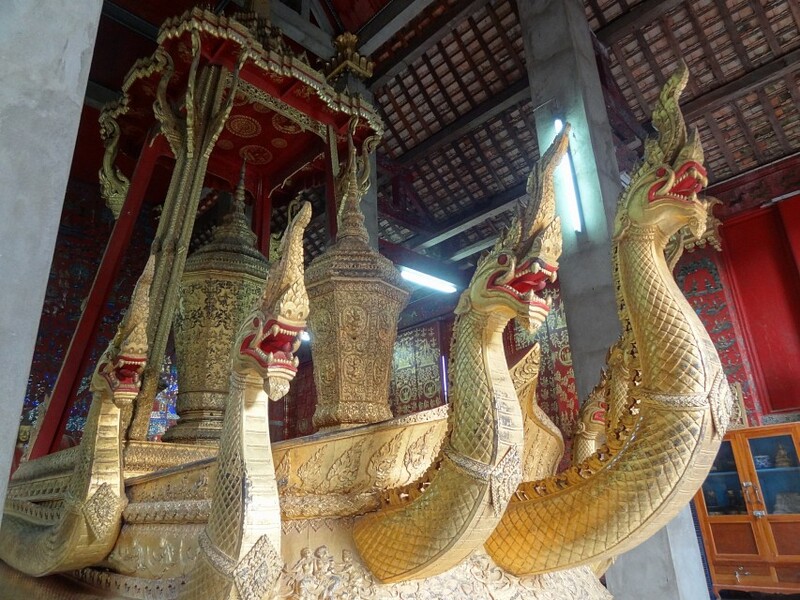 Long boats are stored near the rear entrance of Wat Xieng Thong - Photo by shankar s.